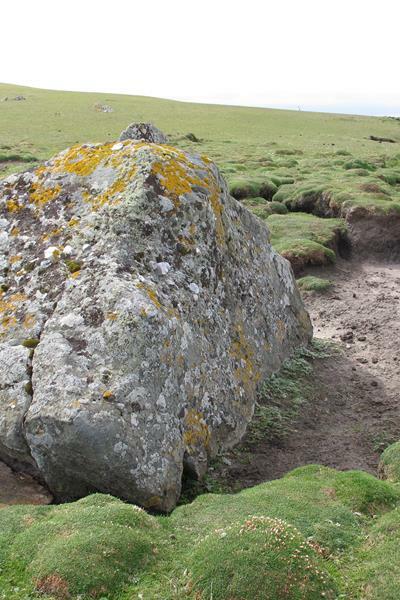 The lichens of Fair Isle are generally representative of the lichens expected to be found on a remote northern Scottish island. 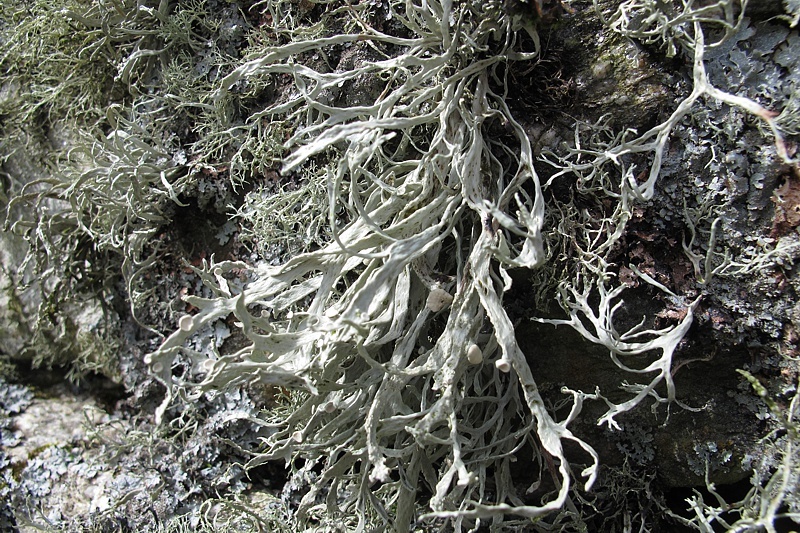 In addition there are some species and lichen communities that are rather special. 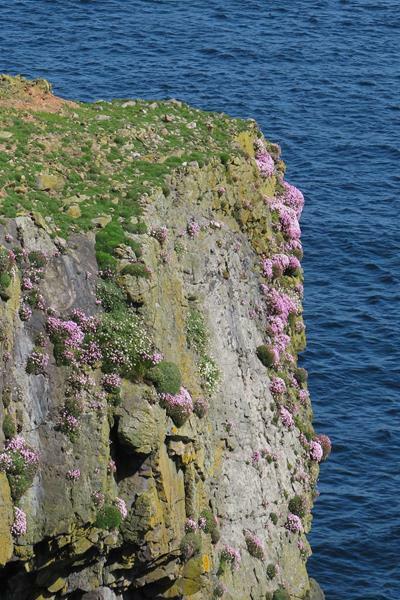 The database of the British Lichen Society holds records of 153 species for Fair Isle. 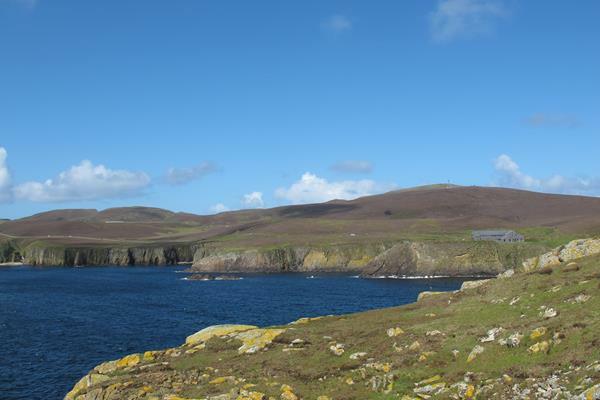 In August 2016 a party of lichenists spent some time on the island. 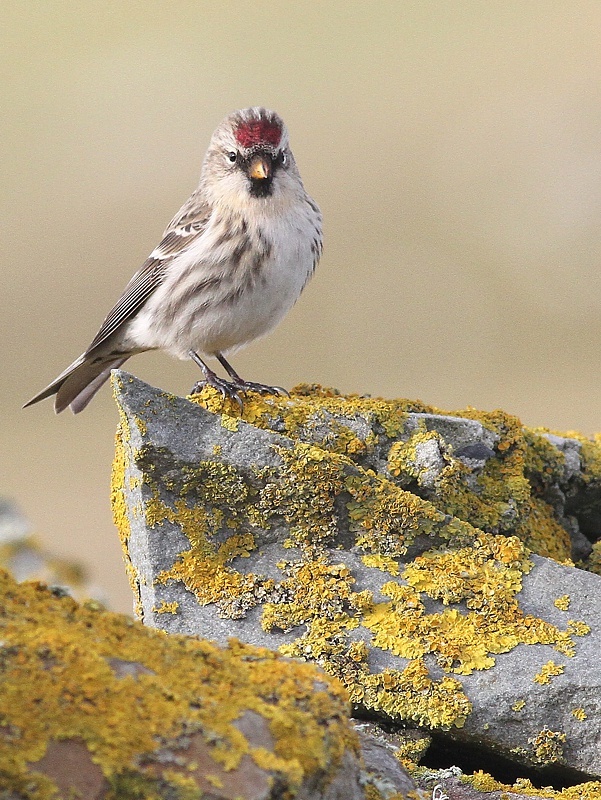 Following this visit the total should rise to over 250 and a full species list and a report of the lichens of Fair Isle will be prepared for publication in the Bird Observatory Annual Report. 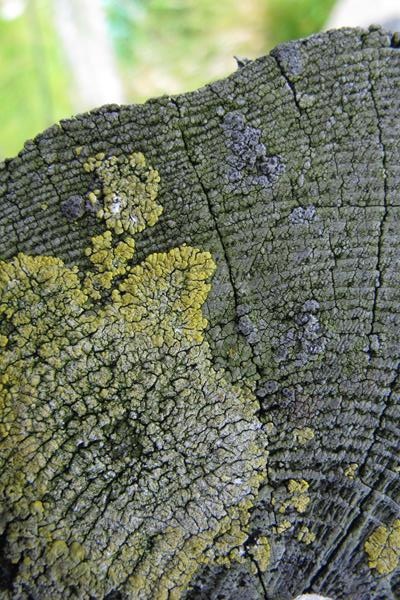 This web page illustrates a few of the lichens to be found commonly on the island and some that are to be considered special. 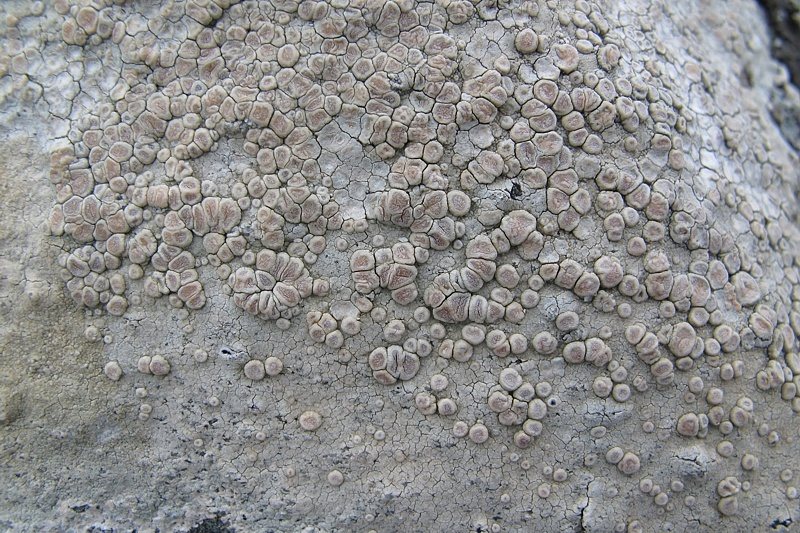 Ochrolechia parella (white crottle or crab's eye lichen) This crustose lichen is common on smooth rocks across the island. In traditional dying it was used to produce a reddish or orange colour. 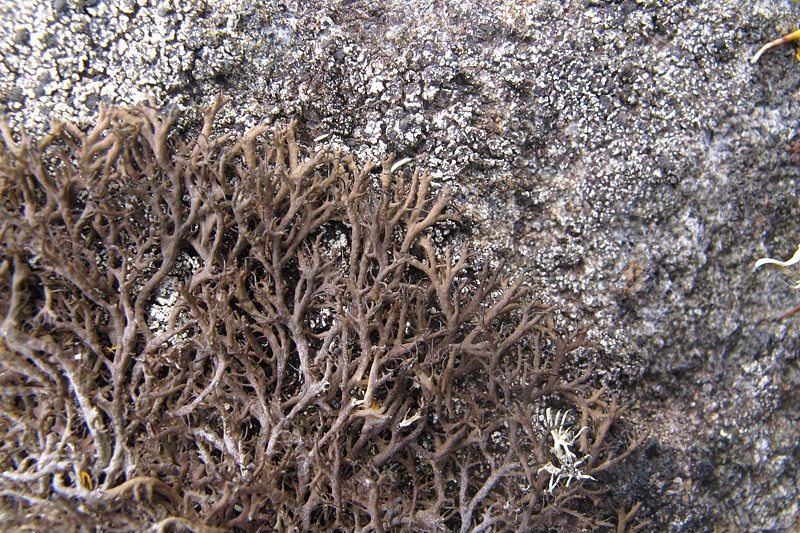 Ramalina siliquosa (sea-ivory) A coastal lichen that from a distance gives rocks and walls a furry appearance. 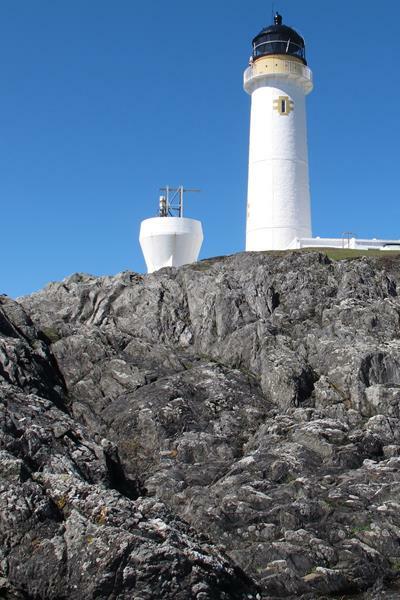 It is because of its stiffness when dry that it has acquired a common name of 'sea ivory'. 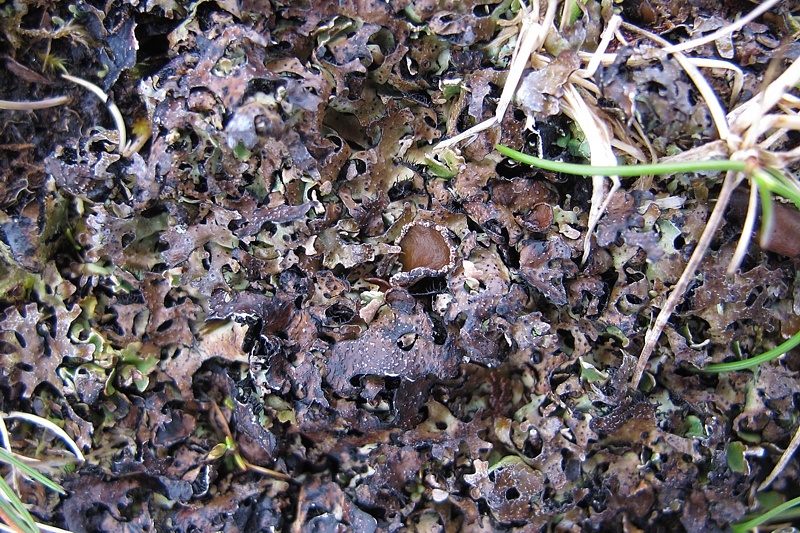 Anaptychia runcinata (chocolate seaside lichen) Chocolate-brown when dry and greenish when wet, this lichen is common on coastal rocks. Parmelia omphalodes (black crottle) This leafy lichen is found on both the ground and on rocks. 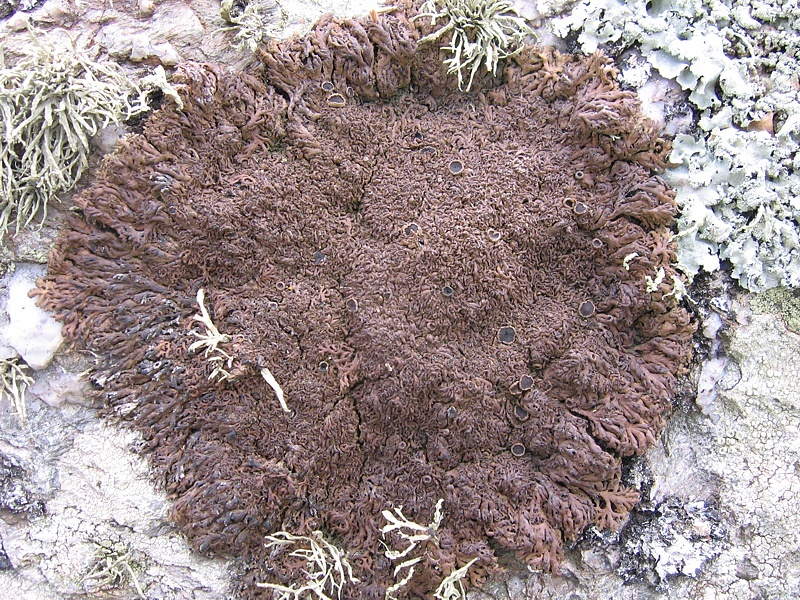 It was used in traditional dying to provide a rich rust-red colour. 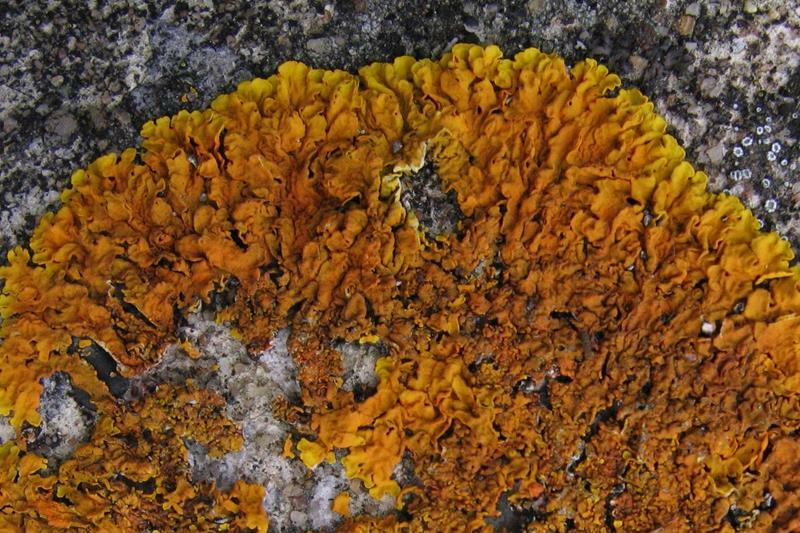 Xanthoria parietina (common yellow lichen) One of the commonest British lichens, it favours nitrogen-rich sites and hence is found wherever birds choose to frequent including the roof of the Bird Observatory. 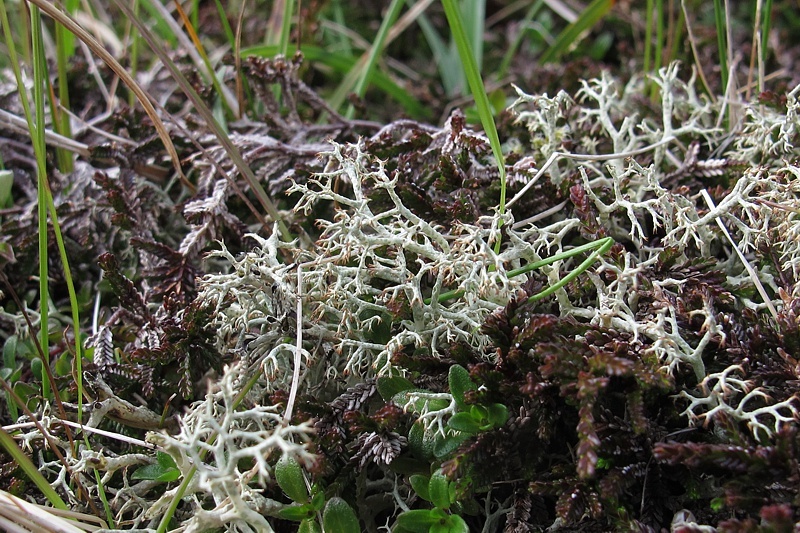 Cladonia portentosa (one of the 'reindeer lichens') This is to be found amongst the heathland vegetation. 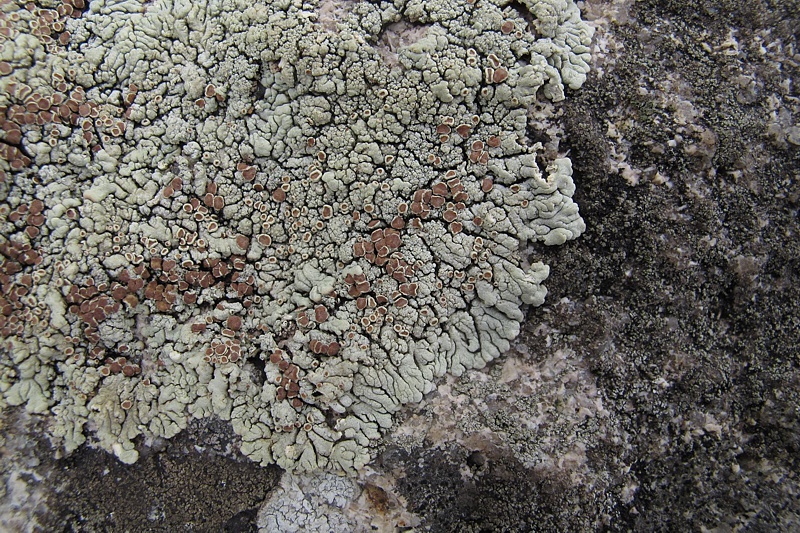 Anaptychia ciliaris subsp. mamillata (eagle's claw) This is found on coastal rocks and rock turf interfaces. It has the IUCN threat category NT (Near Threatened). 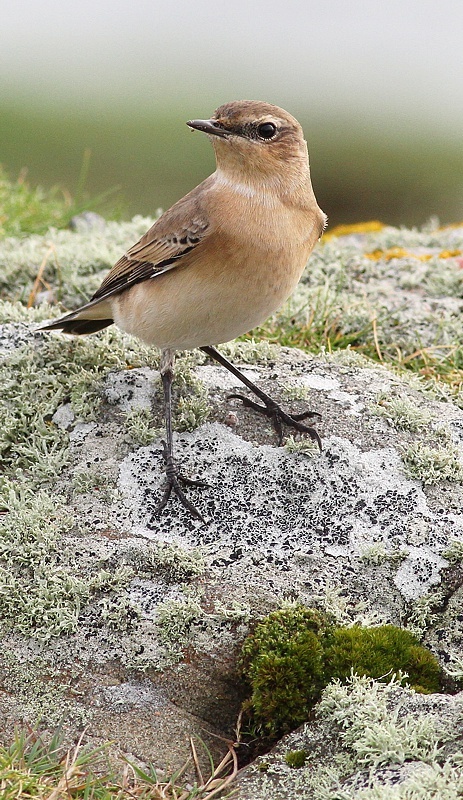 In the British Isles it is rare and very local being recorded in the west from Devon to the Shetlands and in the east down to Northumberland. 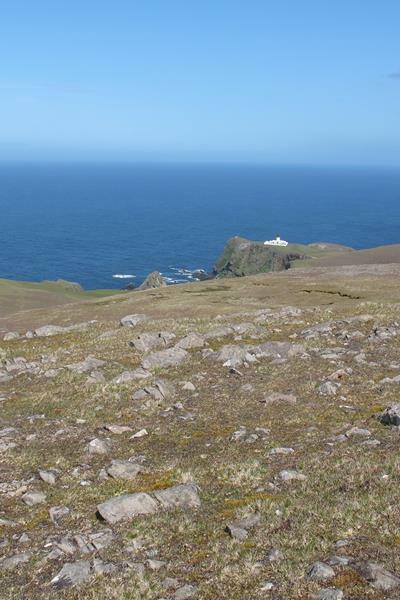 On Fair Isle it is unusually abundant in the region of the South Lighthouse and scattered elsewhere around the coast. 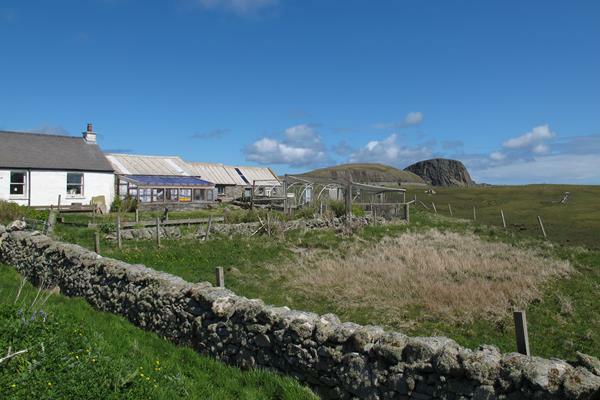 As testament to the maritime nature of the entirety of the island it is to be found in the middle of the island on the roadside wall of Barkland croft. 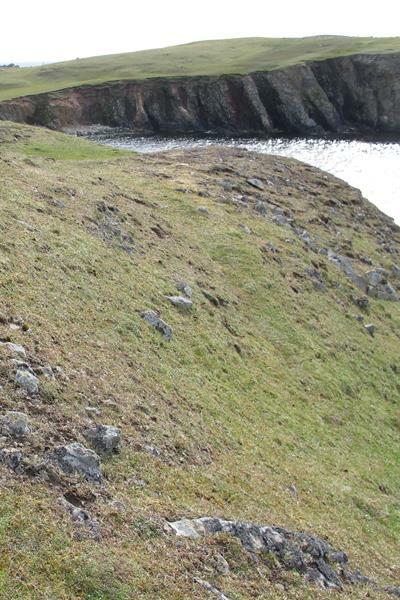 Lecanora straminea (one of our seabird-poo lichens) This is a rare arctic-maritime specialist of nutrient-enriched rocks, especially boulders frequented by seabirds. 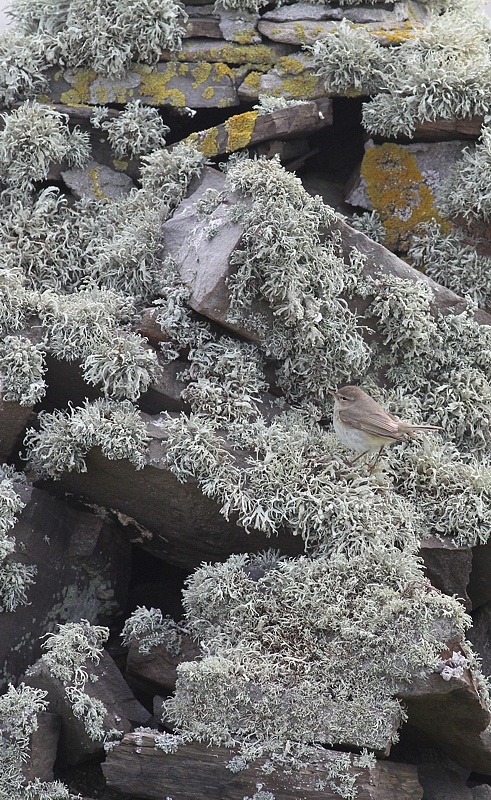 It has IUCN threat category NT (Near Threatened). 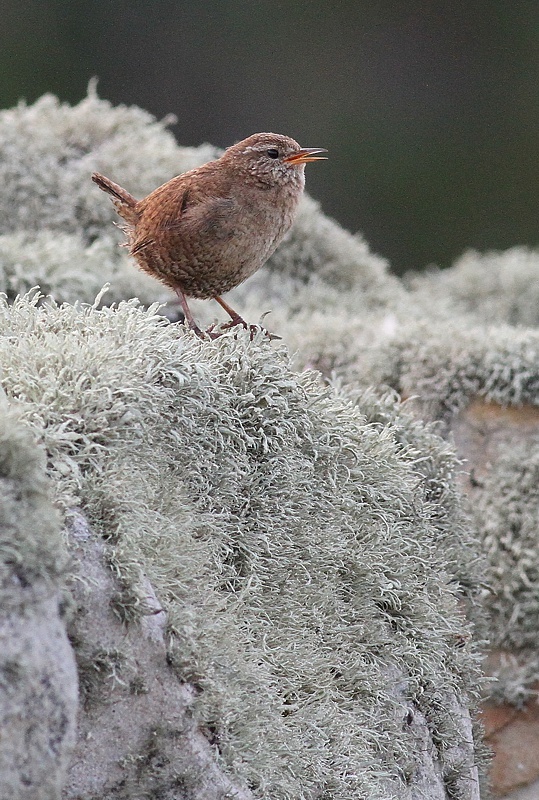 It is recorded from St Kilda, The Flannans, the west of Harris, The Shiants, Mainland Shetland, Noss and Fair Isle. 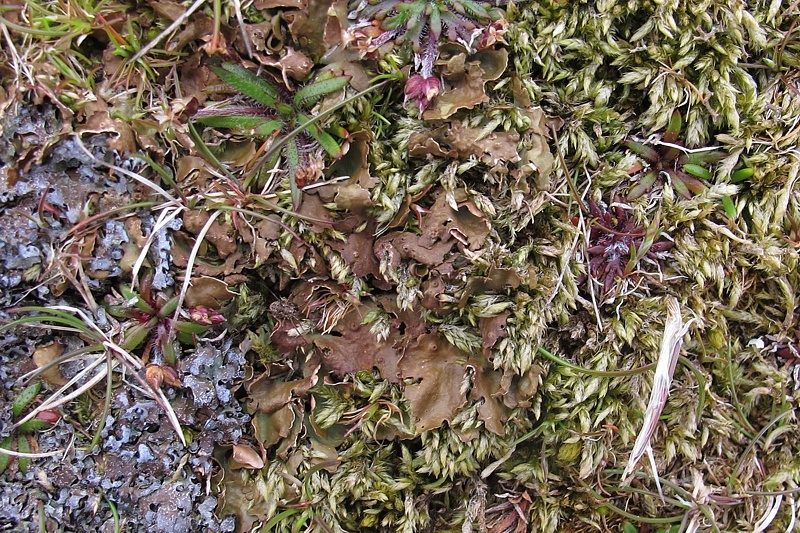 Lobaria virens (green satin lichen) A lichen that is more commonly associated with Atlantic woodland communities is found here, as on some other west-coast Scottish islands, in short turf coastal habitats.